Purva Windermere in Chennai is new residential launch by Purvankara group in the prime city, offering 1BHK, 2BHK, 3BHK and 4BHK luxurious living spaces spread over 55 Acres of space. Strategically based in Pallikaranai, Purva Windermere, a one of a kind project, provides an engaged and healthy lifestyle. Pallikaranai, a sought after locality based in the southern most region of Chennai, enjoys the benefits of being the IT hub in mid of a mesh of easy connectivity facilities. The area offers a gamut of residential properties ranging from premium dwellings to high-rise apartments. This has made the elite segment of the society to invest in the locality's residential market. Hence, these multi-crore transactions in its business property market have led to an overall development of the residential market. Backed by a robust demand by top management IT professionals and expats, Chennai continues to maintain the luxury tag in India's property market. The developed infrastructure and a high scope of niche employment opportunities makes Chennai a real estate giant. 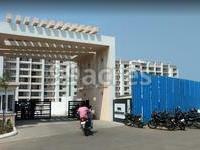 What is the project location?The project is located at Pallikaranai, Chennai South. What is the area of apartments in Purva Windermere? The area of apartments offered in the project ranges from 611.0 sqft to 2712.0 sqft. What is size of 1 bhk in Purva Windermere? The area of 1 BHK apartments ranges from 611.0 sqft to 621.0 sqft. What is the 2 bedroom size in Purva Windermere? 2 BHK units in the project are available in a size of 1243.0 sqft to 1255.0 sqft. What is the area of 3 bhk in Purva Windermere? Three-room units (3BHK) in the project are available in an area of 1922.0 sqft to 2162.0 sqft. What is size of 4 bhk in Purva Windermere? The area of 4 BHK apartments ranges from 2691.0 sqft to 2712.0 sqft. te, International Prix d' Excellence 1998, Realty Plus Excellence Award 2012 etc. Managed by highly qualified professionals the company has traversed a steady growth path through its innovative projects considering the current trends and the expectations of customers simultaneously. Hello, I am looking forward to buy a unit for my parents in Radiant Lake View located at KR Puram. So, please tell me about the price details, price appreciation in the near future? How livable is the place? How the goodwill of the builder is? Hi Sunil, at present, you can get a 2BHK apartment in between Rs 46 lakh to Rs 53.5 lakh and the 3BHK apartment will cost you in between Rs 65.4 lakh Rs 75.3 lakh. For senior citizens, this project has yoga/meditation area and a clean park where residents can relax and spend some time. Regarding appreciation and investment, this project has witnessed nearly 45% hike in capital values since launch and it is completed in June 2017. Usually, projects grow up to their full potential in the first five years so you may consider this project for future profit. Also, this place is safe and livable as there is no dearth of social utilities.  As far as the builder is concerned, Radiant Group is a reputed builder in real estate. Till date, this group has successfully delivered several projects in Bangalore and three projects are in the construction phase. Some of the projects include Radiant Enclave in BSM Extension (Bangalore West), Radiant White Orchid in Kalena Agrahara (Bangalore South), Radiant Karel in Nayandanahalli (Bangalore South) and Radiant Silver Bell in Kodigehalli (Bangalore East), among others. The website ads show the apartments fully fitted out and with a good video display looks very attractive. Can the builders advise on their site the cost to fit out and furnish as shown. Sunil, I have researched a lot about the builder that if I could find out something negative but all went in vain as there was nothing on the internet, however, I have consulted the local property dealers they told me everything good about the builder and the project.